Bangalore does not receive the attention it deserves for its historical sites. This is a shame, because, while they are few in number, their stories are truly captivating. For example, did you know that Kempe Gowda I established Bangalore way back in 1537 with a mud fort that is today called Bangalore Fort? Find out more about all the interesting forts in Bangalore, and around. Our first fort is in the heart of the city. 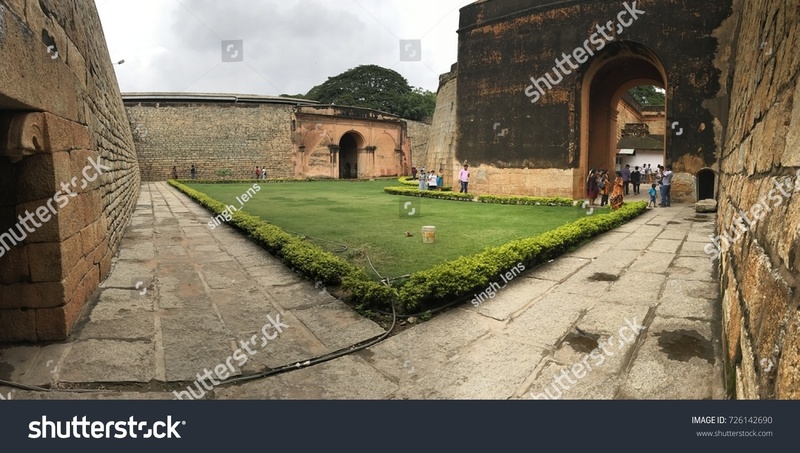 Rightly named Bangalore Fort, this former mud fort has a rich history. It was built by Kempe Gowda I and later further developed by Haider Ali. While it was once a vast fort with a huge coverage, what remains of the fort today is only the Delhi Gate as the rest was brought down by the British. Tourists come to look at the remains, in particular, the marble plaques with interesting historical facts written on them, throughout the year. There is a small garden inside the fort and a closed house that is a good backdrop for a photograph. The fort is known for its huge iron cannons with cannonballs that date back to the times of Tipu Sultan. These canons were excavated in 2012. Location: The fort is located within city limits at New Tharagupet. Constructed by Mallabaire Gowda, the Devanahalli Fort is famed for being Tipu Sultan’s place of birth. Inside the fort premises, you can find a small dewan’s house and the Nanjundeshwara Temple. The Devanahalli Fort is a great place for tourists who love history and taking long walks. 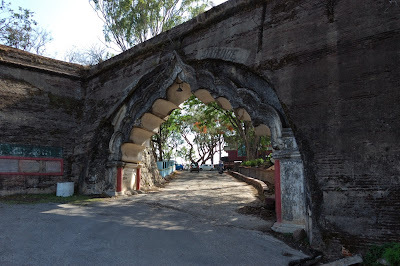 It is one of the few forts in the city that is still well maintained. Located about 100 kilometres from Bangalore city, the Medigeshi Fort is rooted deep in Karnataka’s rich history. Perched on a height of 3734 feet, this fort has witnessed numerous battles. Many kingdoms have fought for this hilltop fort. The Medigeshi Fort is also a great trekking spot for locals. The place is packed to capacity on the weekends when Bangalore natives come to the town of Medigeshi for a trek. The fort is divided into three sections: a lower section with steep rocks, a pond that’s filled with thick vegetation, and the upper portion that holds the structure of the fort. The best time to visit the fort is between the months of October and March. Sometimes called Kalavara Durga, the Skandagiri fort is one of the many ancient fortresses in and around Bangalore. One can easily get to the fort by taking the NH 7 Hyderabad-Bangalore Highway. From the fort, one can get excellent views of the Nandi Hills and the Kanivenarayanapura. The fort houses a temple where locals come to perform poojas and rituals on Saturdays. The climb up to the fort is also a good trek and, on your way, you’ll find excellent panoramic views of the hills. The Nandi Durga is a fort that is located on the famous Nandi Hills near Bangalore. It was earlier called Anandagiri during the rule of the Cholas. The fort is believed to have been built by Tipu Sultan and was used as his Summer Palace. Most parts of the fort remain in ruins, but many go here to enjoy scenic views of the hills and for treks. Channarayana Durga was once a seven-storey fort, but today what lies of this magnificent structure is only ruins. Belonging to the Marathas, the fort was constructed in a very complex manner; one cannot see the exit until the very end. Although the fort is in ruins, a visit here is a must for every tourist who loves architecture and ancient sculpture. 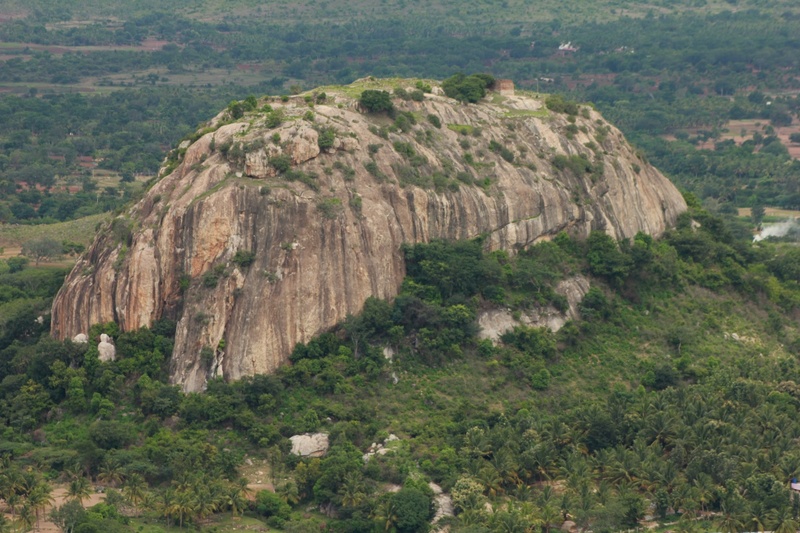 The Makalidurga fort sits at an elevation of 3664 feet, around 60 kilometres away from Bangalore. It is located within a chain of hills and is blessed with beautiful surroundings. Near this fort is a temple that is built in honour of Lord Shiva. Amongst the vegetation at the fort is a variety of medicinal and herbal plants. Although the site is an excellent one for trekking, climbing up to the fort at night is restricted. Located a little away from Bangalore’s city limits, the Huliyur Durga is a fort that is built on a mountain with a very peculiar shape (It is shaped like a cup). The fort here is believed to have been constructed by Kempe Gowda I. The climb up to the fort is a little difficult as major portions of the fort lie in ruins. Many come here to trek and to gaze at the lovely scenery from the fort. A visit to a fort can give you a sense of history as well as help you burn some calories (the Madhugiri Betta, in particular). Head over to some of these on your next trip to Bangalore. Do let us know about your experiences at the forts around Bangalore. We would love to hear from you in the comments below.